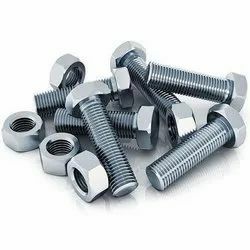 Leading Exporter of galvanized nuts & bolts, copper alloy nuts & bolts, stainless steel nuts & bolts, duplex steel nuts & bolts, nickel alloy nuts & bolts and high tensile nuts & bolts from Mumbai. 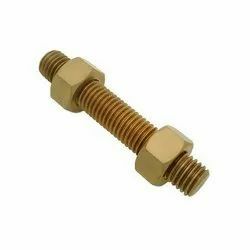 Designed for reliable performance, our wide variety of copper alloy fasteners Nuts & Bolts are available in different grades and specifications as the varied requirements of diverse buyers. 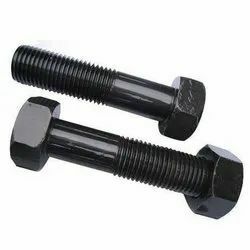 These fasteners Nuts & Bolts are manufactured with high grade of qualitative material for durability, sturdiness, reliability & better and long lasting performance. We ensure safe packaging with zero defects and prompt delivery of the products within stipulated time frame. Grade:UNS 2200 ( NICKEL 200 ) / UNS 2201 (NICKEL 201 ), UNS 4400 (MONEL 400 ), UNS 8825 (INCONEL 825), UNS 6600 (INCONEL 600 ) / UNS 6601 ( INCONEL 601 ), UNS 6625 (INCONEL 625), UNS 10276 ( HASTELLOY C 276), UNS 8020 ( ALLOY 20 / 20 CB 3 ). We are one of the highly acclaimed names in the market for designing and manufacturing a comprehensive variety of Stainless Steel Nuts & Bolts. Manufactured in accordance with set industrial norms, these fasteners are stringently checked and perfect on all quality parameters. Our extensive ranges of drained plugs are designed carefully by our experienced engineers who have a sound knowledge about these components. 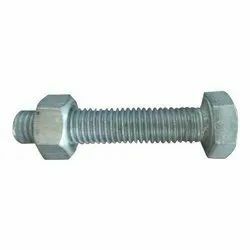 Supplying and exporting a wide range of abrasion resistant and corrosion resistant Nuts & Bolts. 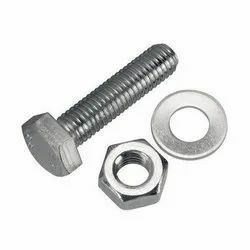 These precision engineered Nuts & Bolts are extremely durable, reliable and are widely used in different industries. Looking for Nuts & Bolts ?